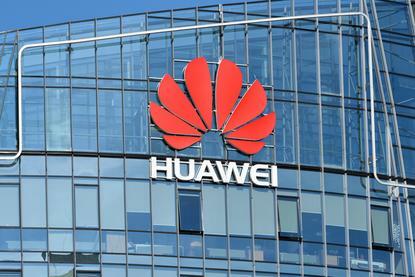 Ingram Micro has been appointed as a distributor of Huawei in New Zealand, signing up the tech giant a matter of months after parting ways with Cisco. Reseller News can reveal that the agreement - effective immediately - will see the distributor gain full access to the vendor’s portfolio across the local market. Specifically, this includes enterprise networking, server, storage and security, alongside an expanding portfolio of solutions addressing the Internet of Things (IoT) segment. “Huawei is an important strategic partner for Ingram Micro, particularly as the pace of innovation in the IT industry continues to accelerate even more quickly into areas like IoT, big data and AI,” Ingram Micro New Zealand executive managing director, Gary Bigwood, told Reseller News. Unveiled during Showcase 2018 in Christchurch, Bigwood said the addition of the Huawei brand will provide “even greater breadth” to Ingram Micro’s current vendor portfolio. From a partner perspective, Bigwood said the agreement will also “create new opportunities” for collaboration amongst existing enterprise hardware and software vendors, in a bid to reach an “even broader customer” set in New Zealand. “We are excited to be launching our new partnership at Ingram Micro Showcase in Christchurch today,” Huawei Technologies managing director of New Zealand, Yanek Fan, told Reseller News. “With its extensive reach into the New Zealand market, Ingram Micro represents a fantastic opportunity for Huawei to expand its local sales footprint and to reach previously untapped pockets of the market, from SMB through to enterprise. Ingram Micro will hope the addition of Huawei helps fill a gap left following the parting of ways with Cisco in 2017, as a result of a high-profile distribution review in New Zealand. Likewise, Huawei will aim to tap into the distributor’s vast pool of Cisco-focused resellers across the country, as the vendor attempts to grab both channel and customer share in the local market. The appointment of Ingram Micro as a local distributor comes 20 months after Exeed signed up the vendor, in a bid to deepen enterprise offerings across New Zealand. As reported by Reseller News, Exeed was handed consumer and enterprise portfolios in September 2016, joining Atlas Gentech as a national distributor across both offerings. The agreement also follows the departure of Alan Nehemia as channel director of Huawei in New Zealand, who joined SAP as senior sales executive across the vendor’s database division. As revealed by Reseller News, Nehemia leaves the Chinese vendor after four years, having first joined to develop and manage local channel services in December 2014.